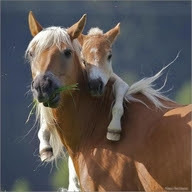 Yippee... it's Friday, April 27, 2012 !!! I love Fridays... I'm not sure why .... well... yes - I think I am... two things! When I had a 9-5 job, Monday through Friday (banking), I loved Fridays - that meant the weekend to play was just around the corner. Then when I had my store... I loved Fridays 'cause it meant lots of my customers would be in the shop on Saturday - it was always my favorite day at the Olde Green Cupboard. So... it's just lingered..."happy thoughts" !!! This Friday is our "Midnight Sewcial" at Cinnamon's! 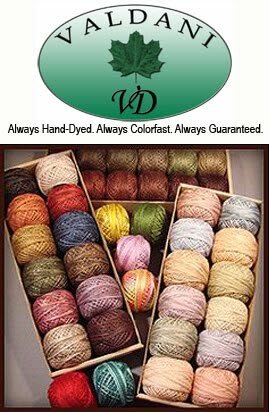 I'm taking my wool stitchery and my knitting. Two projects I do want to finish up! Then Saturday and Sunday I have my B-a-a-a-d Girls Club!! Yippee!! Those gals are a hoot and we sure do have a good time stitching and "yackin' " !!! This month we are going to make SHEEP name tags - hand stitched. They are pretty darn cute. 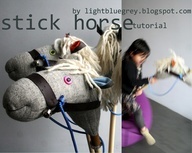 When I saw this cute tutorial on how to make a stick horse... I burst out laughing. Why you may ask? Well... when we were kids... Vicky and I lived on stick horses. However, they DID NOT look anything at all like this. It was the pole to an old rake or shovel with a rope tied around it's neck. We would hop on those horse sticks and ride all over the orchard and yard... making them rear up... whinny... stomp their feet.. you know... all the stuff the horses do. We were experts on riding them and making them do all kinds of things...after all... that's when the COWBOY shows were so popular. Roy Rogers, Gene Autrey, Poncho & Cisco... remember all of them??? Oh my gosh...we would sit for hours and watch those shows. Out to the barn we would run... with our holster cap guns strapped to our hips, our cowboy hats, scarves around our necks and jump on our mighty steed! My heart just flutters when I remember those days... such fun !! Sisters are the best!! Ok..now I'm just sayin..... these are the silliest things I've ever seen! They look like they should be on one of those "info" commercials that we see at Christmas time. What a hoot!!! Needless to say... there was a loud burst of laughter when I saw these silly things. 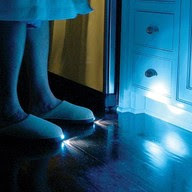 I wonder what those from the SHARK TANK would say if I walked in wanting money for this idea!!! I can just hear them! 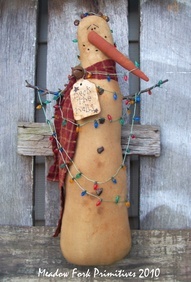 This must be the largest nose I've ever seen on a poor little snowman! I'm surprised he can stand up straight... now this... my friends... is a SNOZ !!! hhhhmmmmmm.... I wonder if he's a relative of Jimmy Durante (sp?) ... for those of you that are old enough to remember who he was! Isn't this an adorable stitchery? 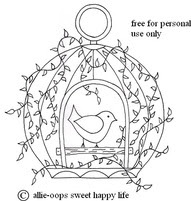 I love birds and birdhouses... and here are both of them together... FREE. He would look adorable stitched on a little hand towel to lay in your bathroom for when guests are visiting. Or how about stitched and then put into a little primitive frame hanging with other sweet items on your wall? I thought he was toooooo cute!! Well...here is the answer. Use your cupcake tins - fill them with your cute papers. Scoop your ice cream into the paper cup - then FREEZE. 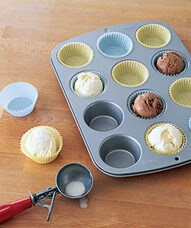 If you need them done up way ahead of time... after they have frozen hard...remove from the cupcake tin and put then inside a sealed plastic container - or ziplock bags (burping out all of the air). This will prevent freezer burn. When it's time to serve - remove from the freezer and set one with each piece of cake... or if it's HOT cobbler... plop it out of the paper onto the cobbler. There's nothing better than HOT cobbler and ICE COLD ice cream together!! YUM YUM!!! Isn't that a REALLY cool idea? Wish I would have thought of it!!! So... this is what I'm going to do!! 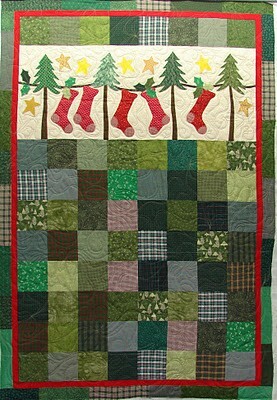 I'm going to get the wonderful fleece - Christmas prints - then cut the edges all the way around and make a small fringe. They will be warm and cozy... something they can bring out each holiday season and remember Grandma!!! The prints they make in fleece is so darn cute... who can resist it!!! I'm keeping my eyes open for just the right print for Jaimi, Elizibeth, Eden and Lexie. Then when my great-granddaughter gets a little older - she'll get one too!! Do you have a garbage disposal in your house? Let me tell you... these can be the nastiest things on earth!!! Whatever you do... don't look down there!!!! OH MY!!!!! It's not a pretty picture... at least not at first! Mine... is now awesome!!! Have you ever seen the citrus pellets you can put in your disposal??? They make it smell better?? Well... they can get pretty costly if you use them regularly. I found this recipe on Pinterest that works BETTER. Get you some ice cube trays... cut up some lemons and drop a chunk into each cube. Fill with white VINEGAR... then freeze!!! Once they are all frozen - remove from the tray (or your freezer will always smell like vinegar) and seal them in a GOOD ziplock bag... (maybe two). 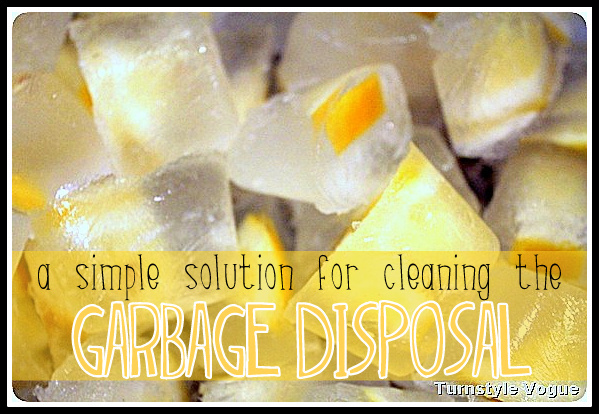 Now when it's time to clean and refresh your garbage disposal... remove one or two from the bag and chop them up! BINGO... your disposal know smells fresh and clean. The vinegar helps to kill the germs and remove residue! Isn't that cool? I loved the idea! Home remedies are so wonderful..... !!! Everyone have a super weekend!!!! Play hard and have lots of fun!!! Sew many stitches and be HAPPY! !